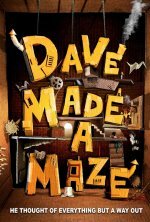 Dave Made a Maze release date was Friday, August 18, 2017. This was a Limited in theaters release. 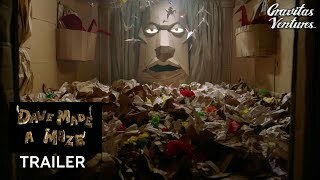 Dave (Nick Thune), a frustrated artist who has yet to accomplish anything significant in his career, builds a fort out of cardboard boxes in his living room, only to wind up trapped by the fantastical pitfalls and critters of his own creation. Ignoring his warnings, Dave's girlfriend Annie (Meera Rohit Kumbhani) leads a band of oddball explorers on a rescue mission. Upon entry, they find themselves in an ever-changing supernatural world, threatened by booby traps and pursued by a bloodthirsty Minotaur (John Hennigan).